The term "heavenly scent" comes from Ding Wei’s (966-1037) Record of Heavenly Scent of the Northern Song period, the earliest text in China specifically dealing with incense. Beginning in the Ming dynasty (1368-1644), agarwood incense became regarded as the highest grade. This source of incense is made by first creating a gash in an aquilaria tree. Then following insect infestation and mold infection, the tree will produce a resin in response. The resin, known as "aloes" (or "agar"), accumulates after a period of time to form resin-embedded wood. The tree is found mainly in the tropical areas of Guangdong and Guangxi Provinces, Hainan Island, Vietnam, and other places in Southeast Asia. Due to different ways of cultivating resin-embedded wood, it can yield "honey agarwood" or "cream agarwood," which have a distinctively light and refreshing scent. For many centuries, agarwood incense has been prized and used in daily life, religious activities, and even medicine. In addition to make incense, unique forms of appreciating and wearing the wood have evolved over the centuries, making it a luxury item among the wealthy and nobility as well as an important part of incense culture by imbuing a scholarly atmosphere.As the title of this exhibition suggests, not only does it offer audiences an opportunity to appreciate the beauty of craftsmanship related to incense objects but also to explore the unforgettable scent of this material likened to heavenly fragrance. 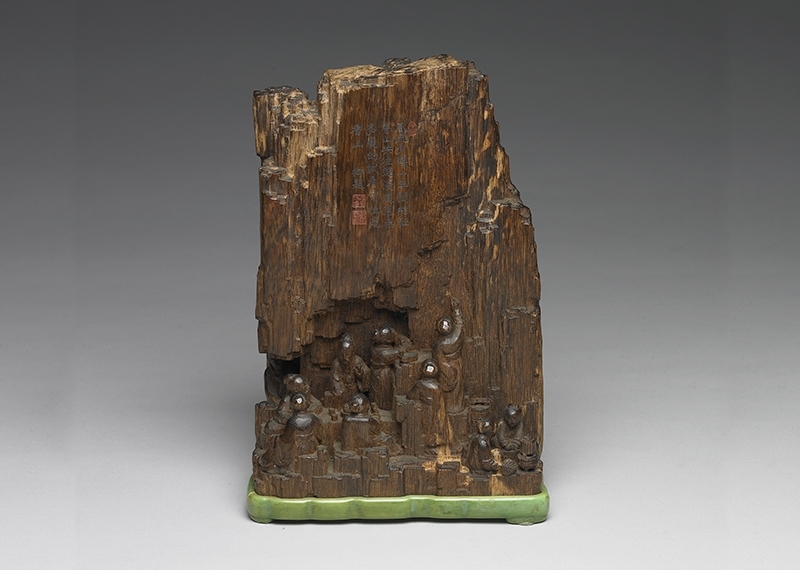 This exhibit is divided into two parts, the first of which is entitled "The Way of Incense." From the agarwood found in the collection of the National Palace Museum, we see how this kind of rare and precious wood was treasured, worn, and used in the past. Hence this part is further subdivided into three sections on "Collecting and Display," "Adorning the Body," and "Utensils for Appreciation." They show how people at the court used this kind of fragrant wood more valuable than gold to enhance their aesthetics of life. 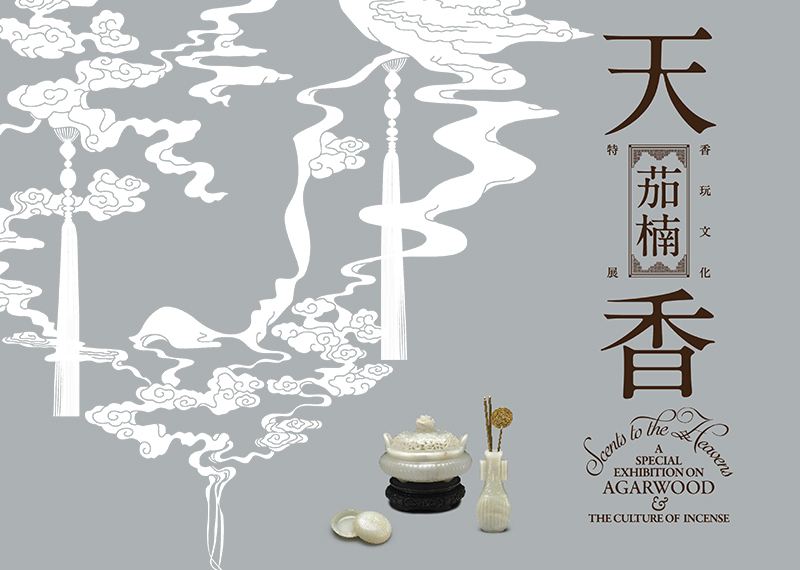 The second part of the exhibit is "The Taste for Incense," which reveals that besides collecting and using agarwood, today Taiwan has played an important role in the revival of incense culture over the past few decades. 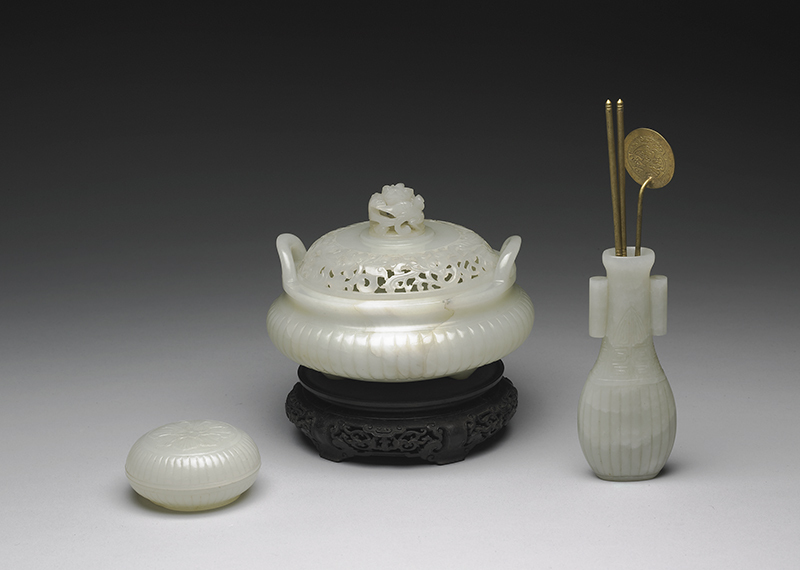 The art of incense has led to the development of a complete set of utensils for appreciation. Two sections on "The Art of Incense Utensils” and "Space for Appreciating Incense" highlight the elegant creations defining the way that people nowadays use incense and, at the same time, convey an aesthetic unique to contemporary lifestyles. Nowadays, as agarwood becomes even more rare, this exhibition shows even then how the court used this highest grade of incense wood to produce luxury items. Integrated with local contemporary works made in Taiwan, we see how the aesthetic of life was (and still is) distilled into utensils for incense.